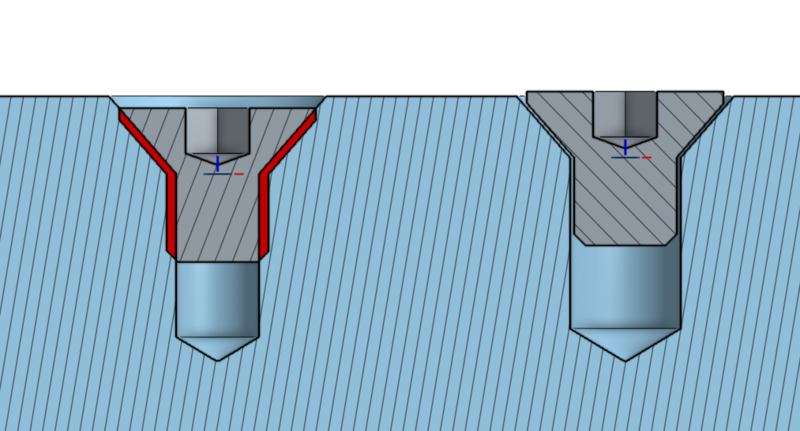 Countersink screws has a mating snap point right after fillet before tapping starts is making problem during automatic countersink hole population. The most important part about properly mating countersunk fasteners is ensuring that the conical surfaces match up. 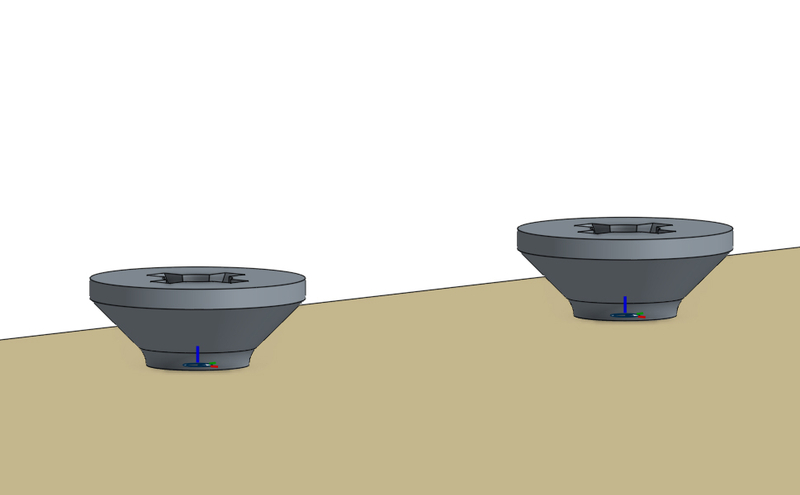 Mating to the planar surface of your part might look good for for CAD (and may match the conical surfaces up by chance), but upon manufacturing and assembly you will find the tolerance of your holes and the tolerance of the fasteners themselves stacking. The end result will be you, in final assembly and QA, running your hand over your part all to find fasteners inconsistently sticking above and below the planar surface of the part. To properly DFM and DFA your holes to accommodate countersunk fasteners, there should be counterbored recess below the surface or a slightly over-countersunk hole in your part. This will ensure that your fasteners do not stick above the surface of the part. This z offset to the fastener is up to the designer and is specific to the fastener. 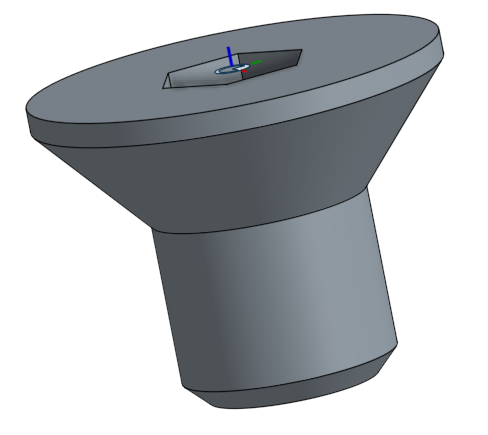 The best Mate Connector point would be the point of the projected conical surface, on both the hole and the fastener. This would ensure proper fitment of the fastener to the hole and accurate recess information. 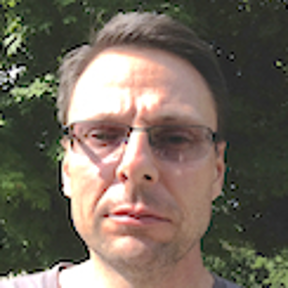 Our hole feature, unfortunately, does not yet fully support inserting holes for standard content or inserting holes designed for specific fasteners. We already planned on covering this case, but I will write up this as a customer improvement request and attach it to our hole feature. Please look for improvements to our hole feature in the future. Has there been any update to this yet? Mating fasteners of ANY kind should be a high priority feature, and all other CAD packages easily handle mating conical features. Also just came across this issue. Kinda surprised that OS has not addressed this out of the box. Not usable for design purposes. Clearly the mate Z value is should be auto-adjusted to match the relevant countersunk standard content model. An offset in the case of countersunk would be useful - even if that is an interim solution. Trusting @Jason got round to writing up that improvement request? The mate connector should be on the top of the fastener and mount flush with the part's surface. 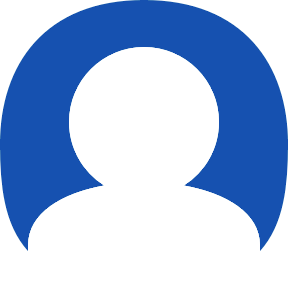 That is the design intent of flat heads; and allows you to select a face with many holes and insert with one click with replicate or standard content insert. Those skilled in the trade of machining / manufacturing will (should) be setting c'sink depth with a screw in hand, and make deeper cuts if necessary to match specifications on the drawing. measuring from the fillet on a fastener (which is CAD glamour that could be removed IMHO) to the bottom of a chamfered hole, changes the offset based on the hole diameter. If it wasn't obvious, below is the same hole with hole feature, I did a move face to make the right hole larger diameter slightly. Any mate that needs to be manually offset, should only be done as a last resort IMHO. Similar to distance mates in other parametric cad. Avoid if at all possible. So if any change is to happen, please consider top of flat head. Whether or not the bolt seats into the plate in CAD is too much calculation for little payback. Unless you are 3D printing, at which point you would be examining more closely and should be adjusting your cut hole, not your mate. The best mating of flat head screws is to use vertices of the two conical surfaces. Both should have mates at the virtual vertices since they are both truncated cones. In my opinion (which should be implied), the screws should not be flush with the surface, but instead they should be ever so slightly recessed to accommodate for tolerances. Same goes for counterbored holes and screw heads. Again, that is all skilled trades problem. C'sinks are to be checked against actual hardware during machining. Offsets and depths are to be set at the CNC or drill press etc. Flush or below is implied. No CAD model of a fastener should be trusted as 100% accurate. Not even the fasteners are consistent between batches / brands. Field fit is part of the trade. So CAD should treat the c'sink as such and only show the c'sink for cosmetic / callout. Whether or not the fastener sits in the perfect tangent to the c'sink in the model is irrelevant. 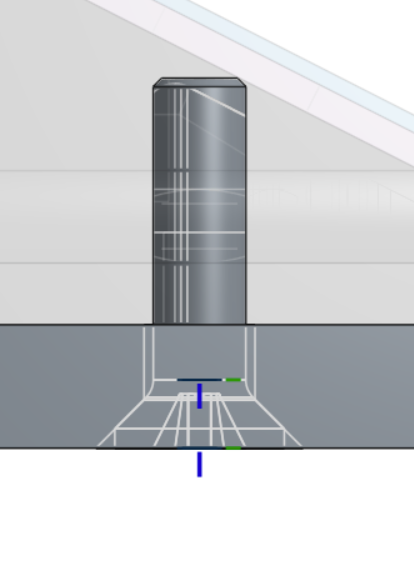 CAD should show intent (which is flush with top 99% of the time) only specific cases where you are using (for lack of a better example off the top of my head) a flat head screw as a makeshift dovetail or something. where you would have it above the surface by a little bit to act like a catch. 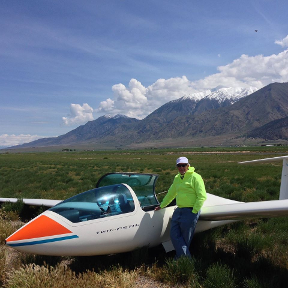 But that would be specific and rare that it would be acceptable to create a custom offset or mate in those cases. Design standard content to be standard for the majority of the time. In 14 years in the trade. Flat heads have almost always been flush with the top, fit at machining/assembly, with a small handful of exceptions that are so rare that I know it has happend... but I can't remember when or why without really looking back at old projects. Today flat head mate is completely useless to me and I re-mate to the top of the head and curse Onshape every time. 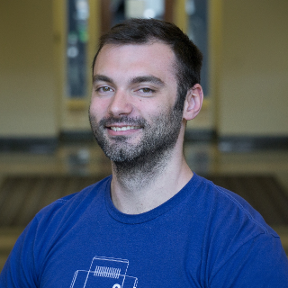 There are too many variables to consider with flat heads. Which is why we ignore collision errors in the model and show design intent on the drawing and to the shop. In automated production, we use flush-pin chamfer gages to spot check as we run. We cannot / do not have the machine operator use a fastener to check and adjust fit. 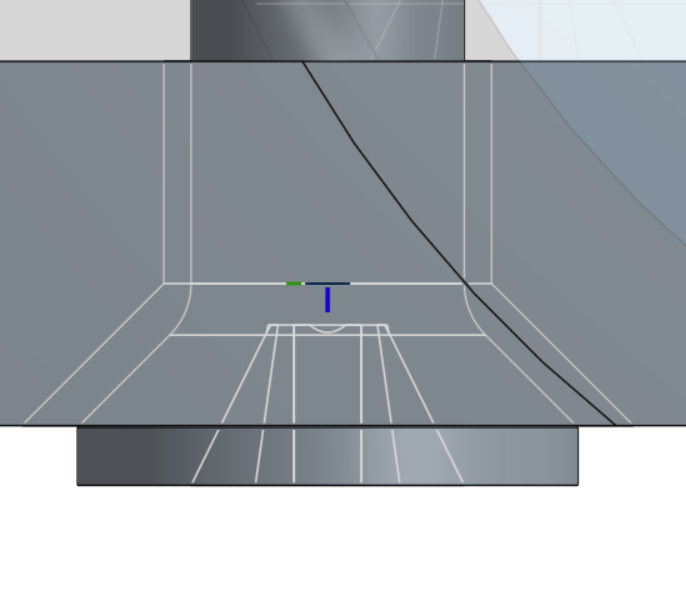 I would like custom countersink and counterbore dimensions in the hole tool without wiping out other design intent like it does now. That way I can tweak the countersink depth while maintaining other dimensions (including threads if necessary) to ensure a deep enough countersink to account for production tolerance stack-up. This. Our fasteners and components are often made in different continents so we'd never use a fastener as s go-no-go gauge. 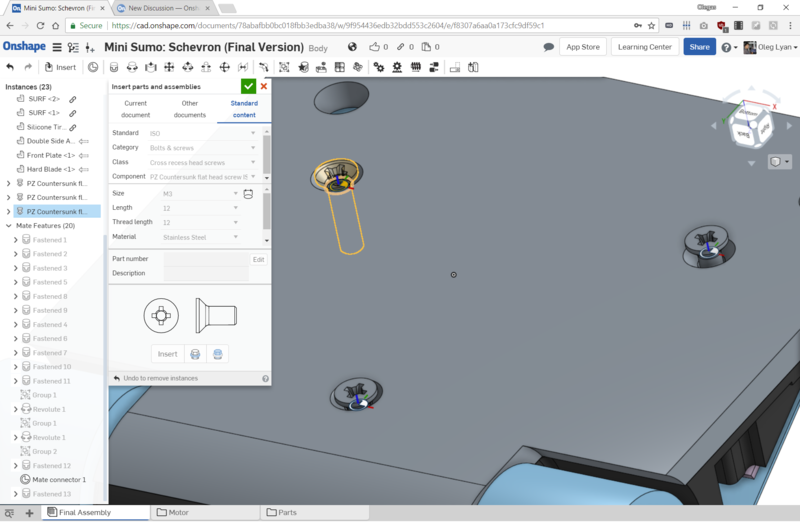 Spec the hole, spec the fastener, CMM the first-offs, and then only ever worry about it again if there is an assembly issue. But it would be nice to tweak the holes. In my opinion (which should be implied), the screws should not be flush with the surface, but instead they should be ever so slightly recessed to accommodate for tolerances. Same goes for counterbored holes and screw heads. 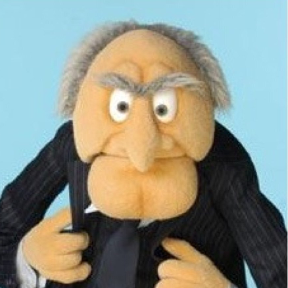 Also to account for screw faces that get buggered up a bit and raise burrs. I've gotten a few nasty cuts and scratches that way. I'm going to chime in here with a special case. When countersinking screws into thin material, the screw should be flush in order to retain as much material as possible under the screw. There should be a drawing call-out stating the screw should be set flush. 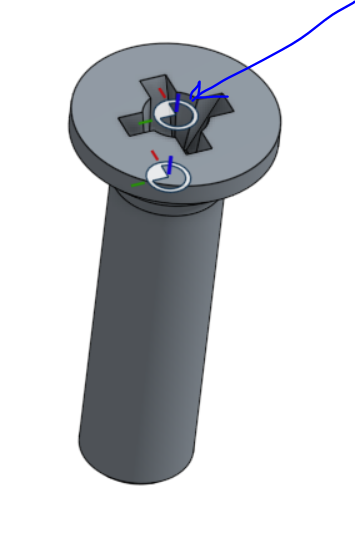 To model this with OS, I mate the top of the cylindrical part of the screw to the neck of the countersunk hole so the cones match-up. Then I edit the major diameter of the hole until the screw is flush. Where there is an issue with burrs, I would use socket head screws and tighten them with a torque-limited screwdriver. Socket heads seem to deform less than cross-point screws.